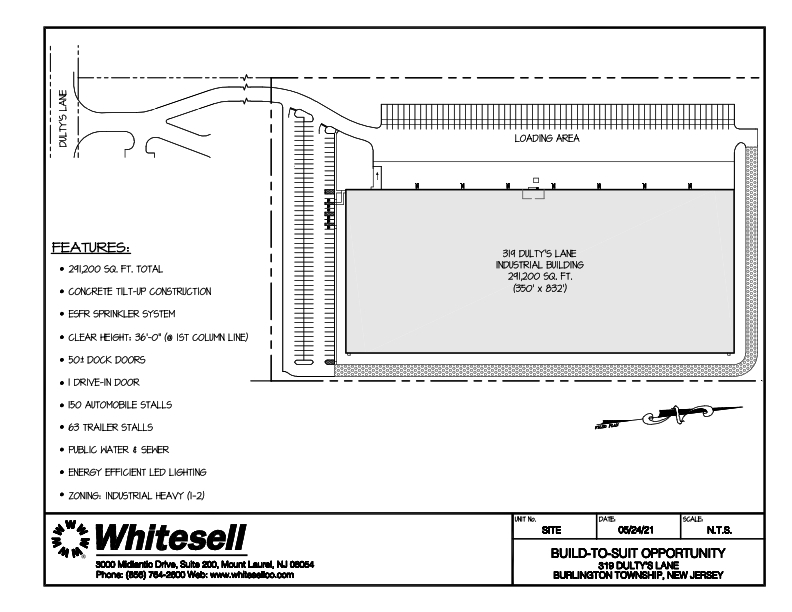 Concrete tilt-up construction features will include cross-dock loading design, 36' clear ceiling height at 1st column line, ESFR sprinkler, LED lighting, and 46 dock doors on a site which allows 111 auto stalls (expandable to 205) and 68 trailer stalls. 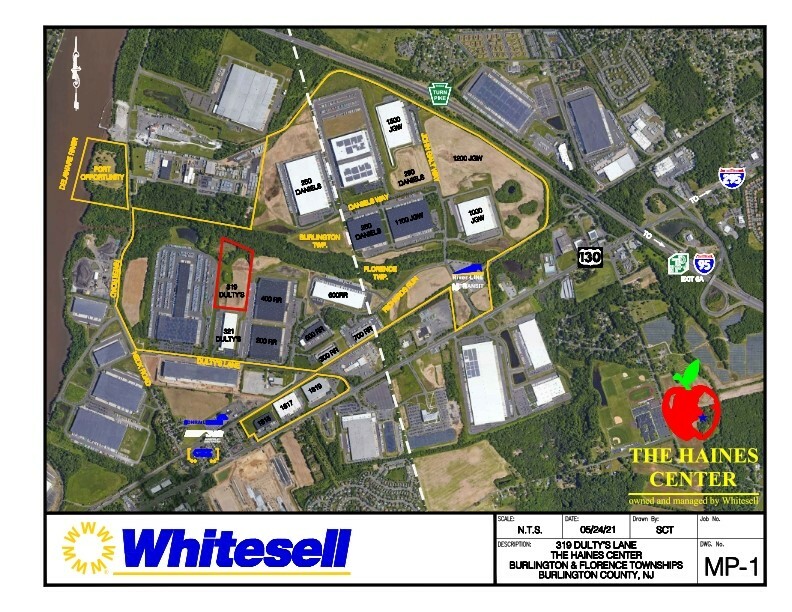 Located in business-friendly Burlington Township, the site is in a redevelopment zone which qualifies for a Property Tax Abatement Program, state incentives may be available under Grow NJ Economic Opportunity Act, and is within walking distance of the NJ Transit Florence RIVERLINE rail station stop. The Haines Center offers direct immediate access to NJ Turnpike Exit 6A and the PA Turnpike connector. Public transportation servicing the campus includes NJ Transit bus line stops, an onsite NJ Transit RiverLine Florence commuter rail station, and a county shuttle transfer service from rail / bus stops to destinations within the Haines Center. To view building details and site plan, click Floor Plans link below. Showing All Units for this property. Information concerning this property has been assembled with complete care from sources deemed to be reliable. However, no warranty is made as to the accuracy of this information, and it is submitted subject to errors, omissions, specifications, or other conditions, prior sale or lease, or being withdrawn, without prior notice.